10 Responses to Got Milk? That is biggest sack I ever saw on a gato! LOL!!!!!!!!!!!!!! Yes Mike I think that would do!!!!! But my Son say Man that is messed up!!!!!!!!!! And I am still LMAO!!!!!!!!!!!!!!!!! Correct my if I’m wrong oh “Mexican Poser” Uncle James… but is not Gato the spanish word for a Cat? La Vaca….. (sigh) You Senior~ are a big pile of “Cauca Toro”. How’s that for grammatically correct? 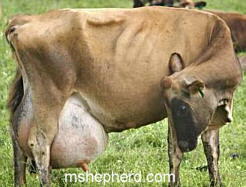 Has anyone ever Milked a Cow? I did that ONCE in my life when I was on a fieldtrip in like 1st Grade. It’s one of the few things I actually remember from that period of my life. I milked a cow at a fair once it was kina freaky. Why do you insist on calling me names? Most American peoples do not say these bad names for me.